Program Expenses: The majority of charities listed on our site - seven out of ten non profits - spend at least 75%of their expenses directly on their programs. That means the organization should spend no more than 25% of their total expenses on administrative overhead and fundraising costs combined. To determine the percentage going to programs for the charity you are reviewing, scroll to page 10 (Statement of Functional Expenses), find Line 25 (total functional expenses). Divide column B (program services) by column A (total expenses) then multiply by 100. The resulting figure is the percentage that organization is spending directly on their programs and services. For a more detailed break out of the program expenses, review the "Statement of Program Service Accomplishments" located on Page 2, Part III. Executive Pay: Our research - based on the analysis of thousands of mid to large charities in America - shows that the average CEO compensation is about $130,000 annually. On page 7 of the Form 990 (Compensation of Officers, Directors, etc.) organizations are required to report the CEO's pay and any current officers making over $100,000 annually. As you examine salaries, keep in mind that a variety of factors impact pay including geographic location, size of the organization, and type of work performed. Professional Fundraisers: If a nonprofit uses a professional fundraiser, then be aware that part of your donation (usually a considerable amount) will go to that for-profit fundraising firm and not to the charitable programs/services that you intend your donation to fund. 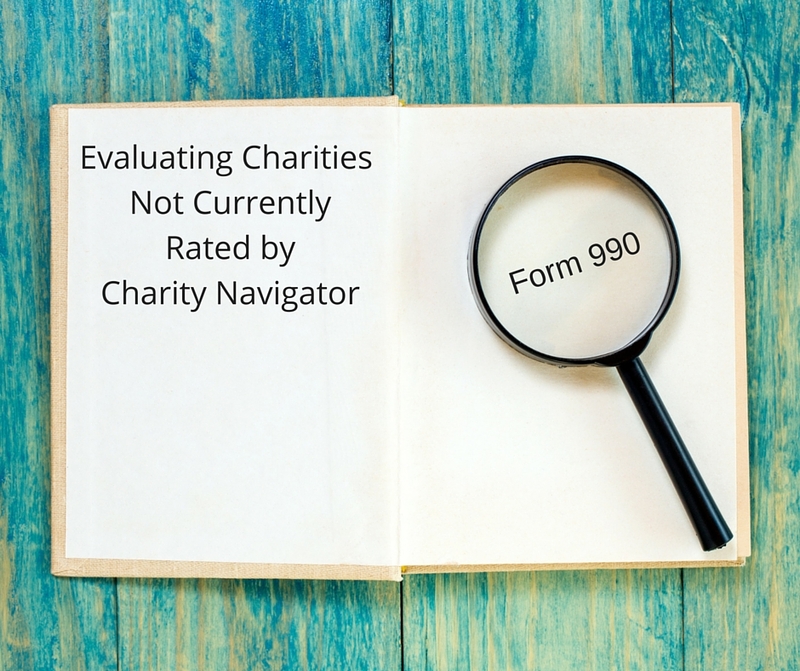 You can determine if a charity uses professional fundraisers by examining the charity's Form 990 in Part I, line 16a, column b and in Schedule G (which offers a more detailed breakdown). If the charity is spending a lot on outside fundraising firms with little going towards its charitable mission, then you may want to look for another charity to support. For more information on this topic, see our tips for What To Do When A Charity Calls and our Top 10 list of Charities Overpaying their For-Profit Fundraisers. Fundraising Costs Allocated to Program Costs: Joint costs, reported in Part IX, line 26, refer to activities that combine educational campaigns with fundraising. Joint costs can disguise a charity’s true fundraising costs and inflate its programs. You can see the amount of joint costs in a nonprofit's program expenses by dividing line 26, column b by line 25, column b (total program expenses). You may want to consider supporting another charity if this ratio is high. Visit our blog next Tuesday for Part 2.